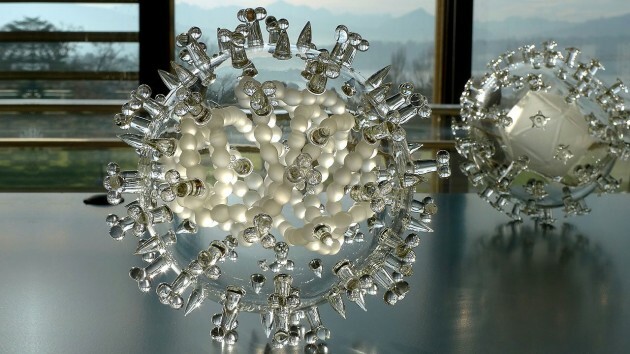 British artist Luke Jerram’s glass sculptures represent a variety of viruses, such as Smallpox and HIV, and are made to encourage viewers to contemplate the global impact of each disease. 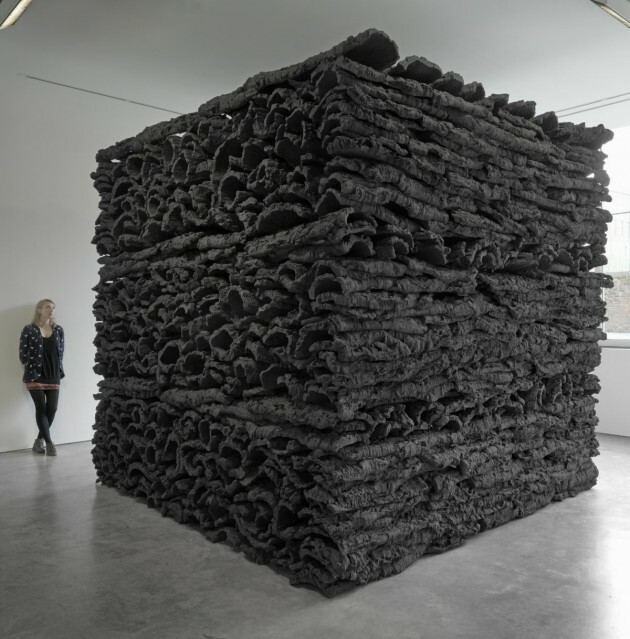 British artist Jason Martin recently completed an exhibition at the Lisson Gallery in London, where his Behemoth sculpture was on display as part of his Infinitive show. 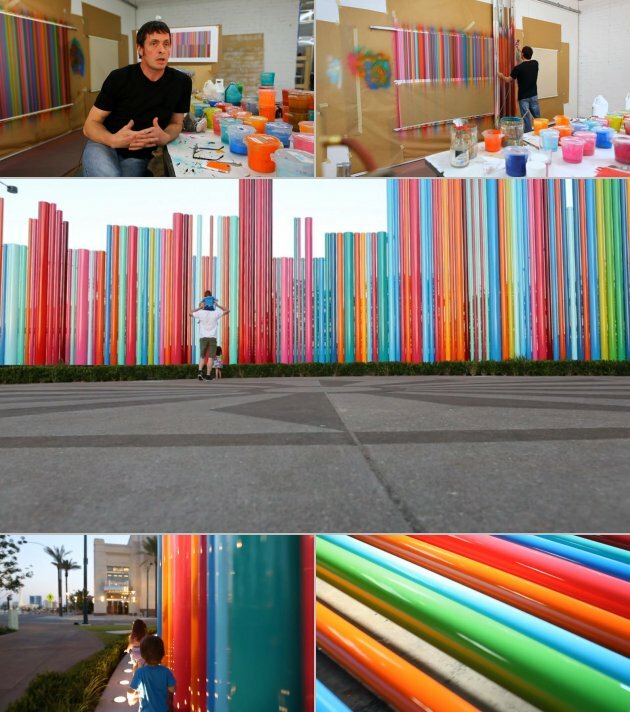 Tim Bavington’s “Fanfare for the Common Man” sculpture, commissioned by The Smith Center, has been installed in Symphony Park in downtown Las Vegas. You can watch a video following Tim Bavington from concept to completion – here. 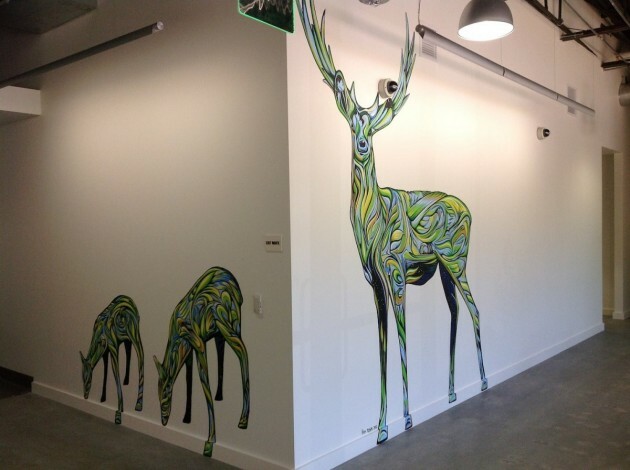 As part of Google’s “Building a Healthier Google” initiative, focused on creating a healthy and transparent workplace free of known toxins, artist Ian Ross was commissioned to create a mural for the new wing of their offices in Mountain View, California. 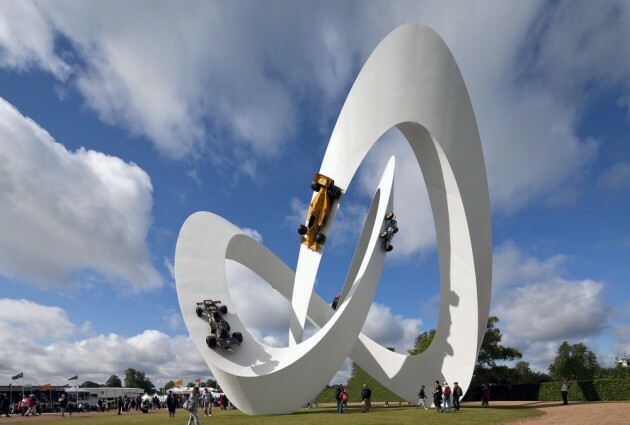 Artist Gerry Judah has created the Lotus sculpture for the 2012 Goodwood Festival Of Speed in West Sussex, England. This is the 16th sculpture created by Gerry Judah for the Festival of Speed, an annual event held in the grounds of Goodwood House. German design studio ART+COM have completed the Kinetic Rain art installation for the departure hall of Terminal 1 at Changi Airport in Singapore. 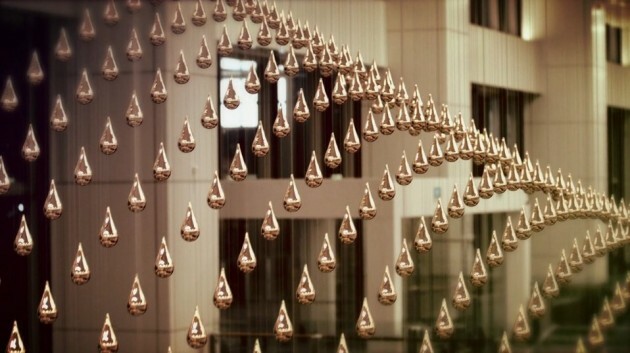 “Kinetic Rain” is composed of two parts, each consisting of 608 rain droplets made of lightweight aluminum covered with copper. Suspended from thin steel ropes above the two opposing escalators, each droplet is moved precisely and seemingly floating by a computer-controlled motor hidden in the halls ceiling. The drops follow a 15-minute, computationally designed choreography where the two parts move together in unison, sometimes mirroring, sometimes complementing, and sometimes responding to each other. You can see Kinetic Rain in action – here.